Valentine’s Day is approaching, which means all across the world couples are getting ready to celebrate their love for one another, while secret admirers are letting the object of their affection know their true feelings. There have actually been a few Christian martyrs called Valentine and two of these are remembered on February 14th – Valentine of Terni and Valentine of Rome. Not much is known about either of their lives and several myths and legends have sprung up around them, so it’s hard to speculate who these men really were. One of the most popular legends is that Saint Valentine helped Christians in Rome to escape torture and persecution. He also married couples – a practice outlawed at the time. To provide Christians with a reminder of God’s love for them, he is said to have cut out paper hearts for them to carry. Upon his capture and imprisonment, he met his jailer’s daughter, who was blind. She showed kindness to him and he repaid her by healing her and curing her blindness. The night before his execution, Saint Valentine wrote a card to the jailer’s daughter, which he signed “your Valentine”. 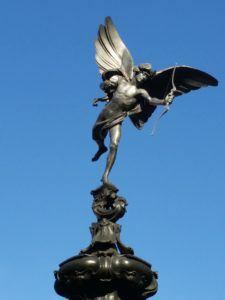 While the day is named after Saint Valentine, it is just as closely linked with the Roman God of Love, Cupid. Today, we often think of Cupid as being a chubby baby angel, but he was originally presented as a handsome young man who was said to be the son of Venus. Cupid is able to make people fall instantly in love by shooting them with an arrow. However, his character also represents the pain and sadness of love, so those shot by one of his arrows don’t always get a happy ending. 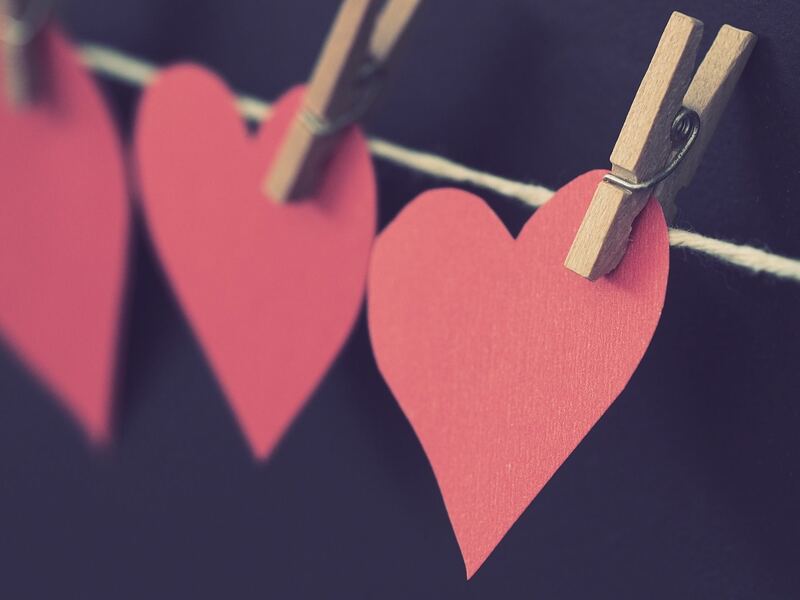 The first recorded connection between St Valentine’s Day and romance is in Geoffrey Chaucer’s Parlement of Foules in 1382. The poem tells of a narrator in search of something, who falls asleep and is led by Roman general Scipio Africanus to the temple of Venus. On the other side of the temple he walks into a beautiful green clearing where Nature has gathered all the birds so that they can choose their mates. “For this was on seynt Valentynes day, whan every foul cometh ther to chese his make,” Chaucer writes, adding that this was a custom repeated every Valentine’s Day. Another early French poem was written in the early 15th century by Charles Duke of Orléans to his wife while he was imprisoned in the Tower of London. 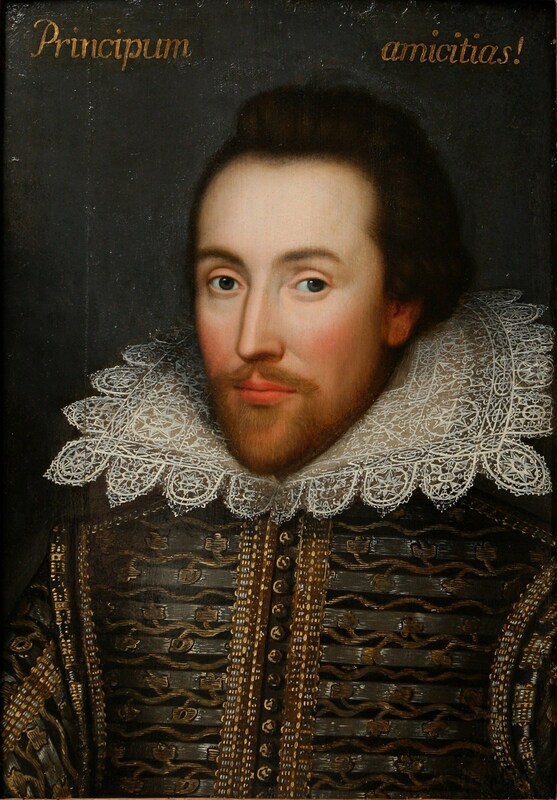 Ophelia also mentions Valentine’s Day in Shakespeare’s Hamlet. 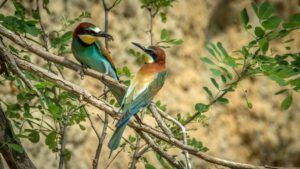 Chaucer’s idea of birds marrying on Valentine’s Day might be whimsy, but in Slovenia it’s something of a tradition. Here, St Valentine is regarded as a ‘Saint of spring’ and his day coincides with the date to begin working in the fields. To mark this date, people walk barefoot through the fields to try and catch sight of the birds proposing to each other. Spotting different birds is said to provide an insight into the type of person you will marry. The day to celebrate love in Wales has been and gone. January 25th is St Dwynwen’s Day, which honours the Welsh patron saint of love. The story goes that Dwynwen was in love with a man called Maelon but they couldn’t be together. Dwynwen ran into the woods and was met by an angel who gave her a magic potion to give Maelon that would help her forget him. Unfortunately, it actually turned him into a block of ice. Dwynwen then prayed for three wishes: to release Maelon, for God to care for all true lovers, and for her to never marry. On St Dwynwen’s Day, couples exchange love spoons. 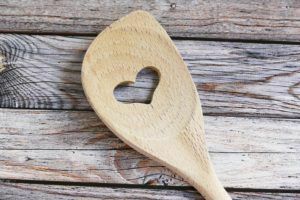 This is an age-old tradition, which began with a man carving wooden spoons with symbols for his loved one, that told her how he felt and even how many children he wanted. Cynics in the US refer to Valentine’s Day as a Hallmark Holiday because it has become so commercialised. In addition to exchanging cards, many couples feel compelled to spend large sums of money on lavish gifts and to go out for dinner on this romantic evening. However, perhaps the most romantic gesture to take place in the States can be found in Florida. Between 1923 and 1951, Ed Leedskalnin built a huge monument to his lost love – his 16-year-old fiancée who had jilted him the day before their wedding was to take place in Latvia. Arriving in the US, Ed set to work constructing a huge structure out of coral, which includes intricate shapes and towering monoliths carved from 1,100 tonnes of stone, all fitted together without mortar. The mysterious thing is, Ed did it all himself and never let anyone watch him work so no one knows how a slight man standing only 5 ft tall could have accomplished the feat alone. 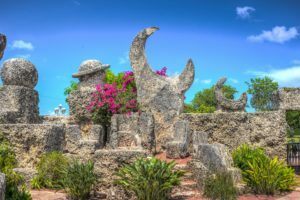 Today the ‘Coral castle’ is a well-known tourist attraction. One of the most popular Valentine’s Day traditions in Japan actually resulted from a mistranslation. 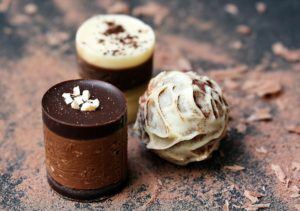 In the 1950s, chocolatiers were promoting the western custom of giving the confectionary to loved ones on Valentine’s Day. While in the west, past traditions meant it was usually the man who gives the woman chocolate; a mistranslation meant that the promotional campaign printed in Japan suggested it was the other way round. Ever since then, Japanese women have given chocolates to the men in their life on Valentine’s Day – and not just their partners, but also their male friends, colleagues and even acquaintances they hardly know. There are different levels of chocolate, with’ giri-choco’ and’ cho-giri-choco’ meaning ‘obligation chocolate’ and ‘ultra-obligatory chocolate’ respectively. These sweets are typically given to a male family member, boss or someone unpopular. Meanwhile, the chocolate that women give their true love are far more luxurious or even handmade. Just like in Japan, women in South Korea spoil their men with chocolate on Valentine’s Day. Another popular Japanese tradition they follow is that of White Day, when men return the favour by lavishing their ladies with candy. However, if you’re single in South Korea you may not be quite as chipper. 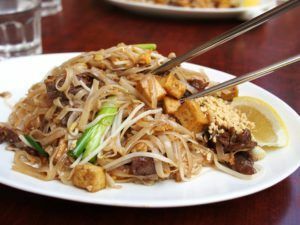 Single friends gather at restaurants to eat Jajangmyeon – noodles in black sauce – and mourn their relationship status. It might sound depressing but hey – at least you get to tuck into some delicious noodles! What Valentine’s Day traditions do they have in your country? Or do you have your own unique traditions that have been passed down from family members? Let us know!